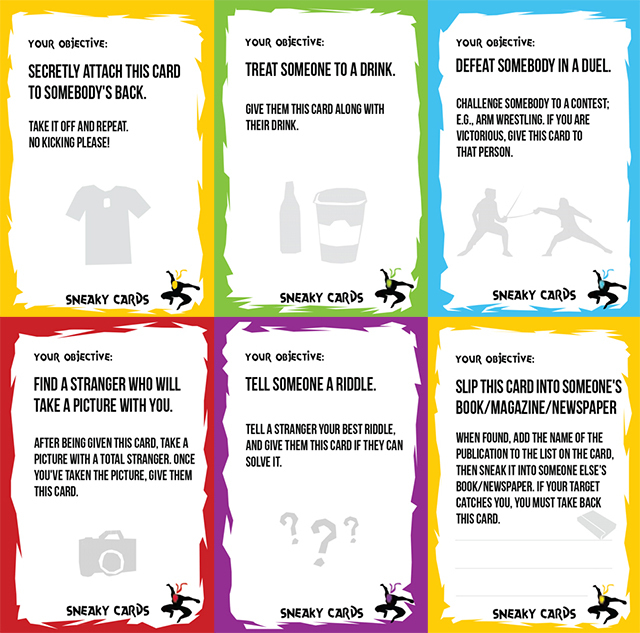 Sneaky Cards is a card game about “creating fun and creative social interactions, breaking up the tedium of everyday life.” The game was created by 16-year-old Harry Lee in 2009. It has since been beefed up by a subreddit group and pushed out as a free-to-play game. 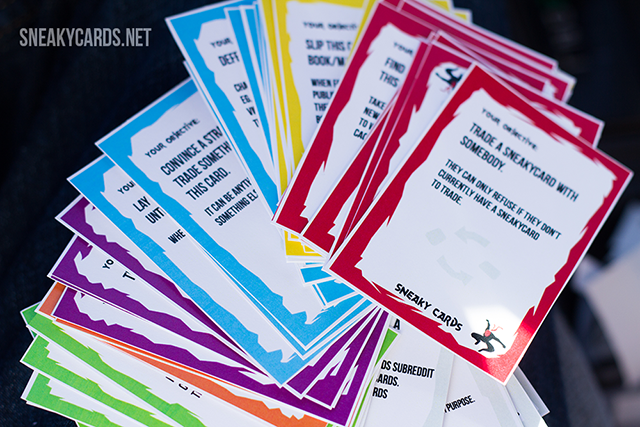 Sneaky Cards is available to download for free under a Creative Commons license and can be printed at home. The main goal of the game is to get rid of all your cards by following each cards own rule set. There are a few variations of gameplay depending on the type of deck you have, the Classic Deck can be played over the course of many days, and during everyday life. 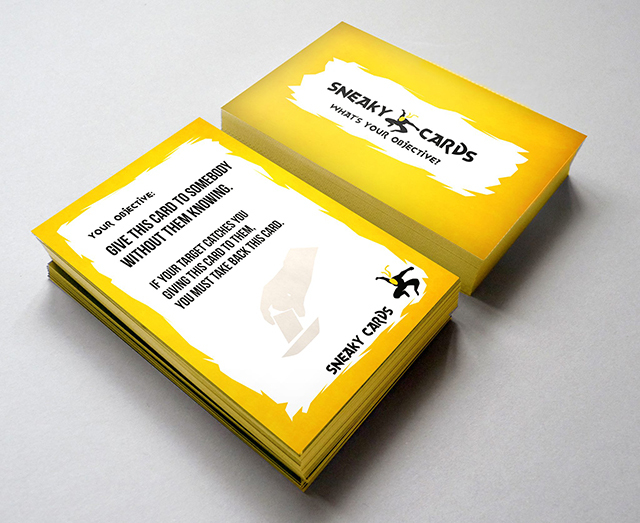 Alternatively the Mini Deck can be played competitively, with each player having a deck and the winner being the player that can complete all their objectives first. The game works best in common social environments. 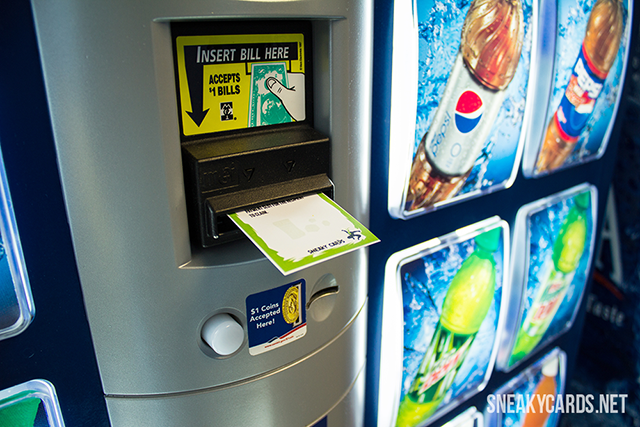 Places like malls, school campuses, offices, conferences, camps, youth groups, parties, and other public places. In most situations there is a player who is playing the game and a non-player who is not. With the player interacting in some way with the non-player.